Idera Clinical Trials is a specialized segment of Idera Pharmaceuticals, a clinical-stage biopharmaceutical company focused on advancing RNA-based treatments for people with cancer and rare diseases. 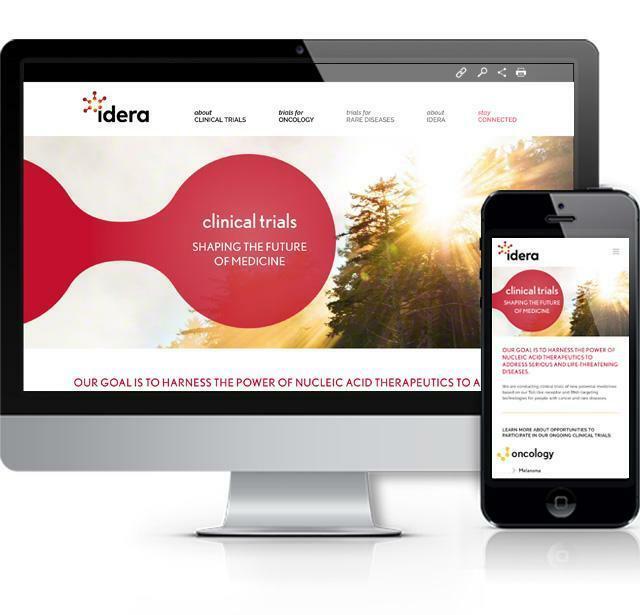 Idera Clinical Trials has its own website due to unique branding, design, and user needs. Harris Web Works built the clinical trials website in conjunction with Fox + Gazelle communications agency, who designed the site.